The theme of artificial intelligence has haunted humanity for centuries, from the mechanical turks of medieval trickery to Alan Turing’s dreams of conversing with machines. That theme has likewise haunted cinema from its earliest days: Maria in Fritz Lang’s Metropolis is the direct ancestor of a horde of artificial lifeforms, whether human shaped, like C3PO in Star Wars, or more abstract, like SkyNet in The Terminator. The form of artificial life birthed in first-time director Wally Pfister’s Transcendence is caught halfway between human and abstract: Johnny Depp’s scientist is mortally wounded, his brain is copied into digital form, and this copy gains a new lease on life when it is unleashed onto the Internet. Artificial intelligence is a massive theme, and the action of Transcendence often threatens to rise into genuinely world-changing territory. That it doesn’t do so is probably a wise idea, as Depp’s digital avatar is more of a Mcguffin than a protagonist for the most part. Instead, the emotional heft of the film is carried by Rebecca Hall as Depp’s (ex-? )wife and the always wonderful Paul Bettany as their best friend. Their conflicting impulses create the conflict at the heart of the film: Hall can’t let Depp go and joins forces with his digital self, whereas Bettany refuses to believe that an artificial recreation is the same thing as his flesh-and-blood friend. It’s not a bad angle to take on the AI theme: is a digital copy of a person the same as the real thing? Unfortunately, Transcendence’s script doesn’t have the discipline to maintain its focus, and when it does swing back at the end to consider whether digi-Depp is the real thing, it proves jarring. It’s a shame, as it’s a film that has a lot of interesting ground to cover, but Jack Paglen’s script just isn’t up to the challenge. 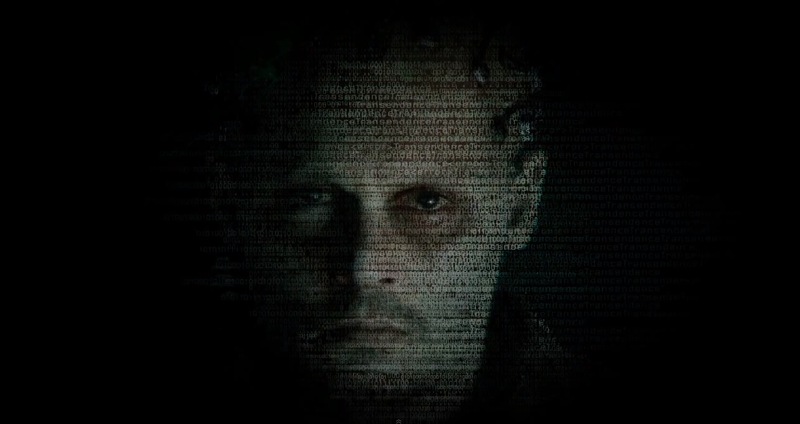 Transcendence is, of course, the second big AI film of the last year. The previous one, Spike Jonze’s Her, focused neatly on the question of whether we could relate to AI’s, falling into and out of love with them, leaving on the shelf notions of how they would change our world in other ways. In contrast, the fear and hope of what AIs might mean for humanity is a driving force throughout Transcendence, if not always in sensible ways. Kate Mara appears as an underwritten luddite terrorist, who gets roped into taking down digi-Depp without her new allies pointing out the fact that hey, she’s responsible for killing a lot of their friends and colleagues. Digi-Depp and Hall plan to use his now-unbounded intelligence to change the world, but digi-Depp’s lack of empathy slowly drives Hall away. Another film covering as much ground as Transcendence, might feel obliged to explain everything, drowning the action in a surfeit of expository dialogue. To his credit, Paglen trusts his audience’s intelligence, but he goes so far in the opposite direction that he outright avoids conversations that could have served to deepen the connection between characters, make some of their choices clearer or just resolved some of the major plot issues that crop up (especially the two mentioned in the paragraph above). Given Pfister’s former career as a cinematographer for Christopher Nolan, it’s no surprise that Transcendence is clinically beautiful. The film as a whole though doesn’t match the meticulous clockwork construction of Inception. Perhaps this is just because it tries to deal with too much in the way of subject matter, unlike Her, a less ambitious but ultimately more successful and heartfelt film. (Her’s plot effectively serves as a subplot of Transcendence, so slender as to become invisible at times.) Especially towards the end, you have the feeling of two competing impulses driving the film: the Hollywood blockbuster, leery of science and desirous of large explosions and high stakes, versus the artistic exploration of the calamitous intersection between technology and humanity. Ultimately, it’s the former that wins out, making the film’s coda feel tacked on, but the latter intrudes into too many parts for the film to cohere as high-stakes action. Then again, the AI theme may just be too big to handle in its entirety in the course of a couple of hours. My favourite treatment of an AI in popular culture in recent years, Person of Interest, is a U.S. network television show, now nearing the end of its third season. That’s around 60 hours of material employed to tease out how an AI might come to be, how it might see the world and how it might relate to us and affect our lives. I’d recommend it to anyone. Sadly, I can’t say the same for Transcendence.